Unfortunately I still haven’t felt 100% again today so I had another day at home! 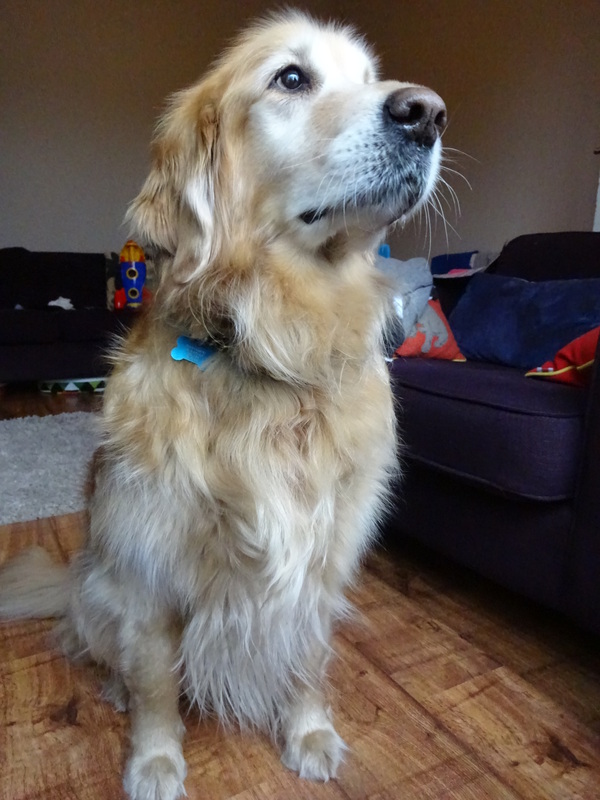 Fortunately my lovely kind neighbour Sue brought her very handsome dog Dylan round to see me! Dylan lives with beautiful Lady from Day 1 and handsome Cassius from Day 47. Ethan was very excited that Dylan came round! Dylan is a really lovely dog, very handsome, friendly and calm, he’s got a very nice temperament! Dylan originally lived with another family but one of the children developed bad asthma and so they had to re-home him; that’s when he came to live with Sue and Dave. Unfortunately they received some very sad news a few weeks ago. Dylan has been diagnosed with terminal cancer, he possibly only has a few months to live. Dylan is such a beautiful animal. My thoughts go out to his family. Favourite food: Chicken, beef and treats! Favourite pastime: Swimming and going for long walks! What a beautiful boy!! My heart goes out to him & his family. 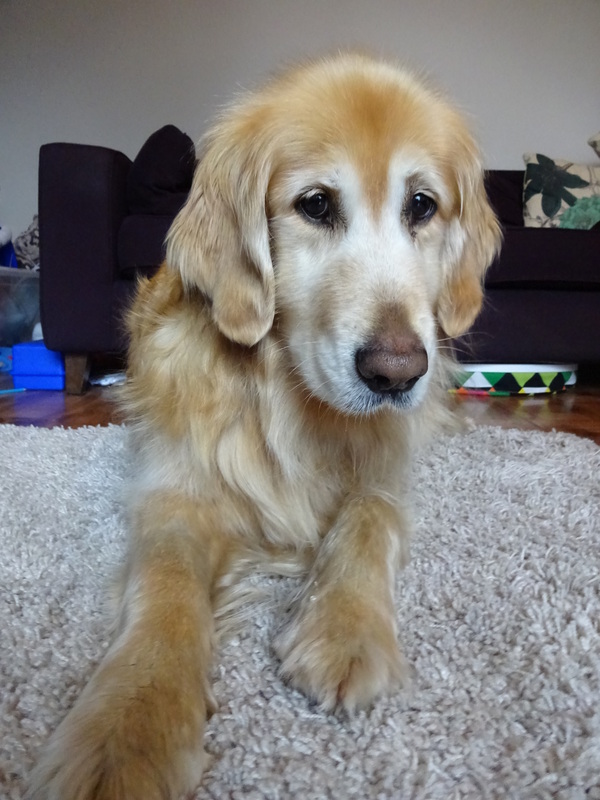 I lost one of my 4-legged boys to cancer. It was so hard. It must be so difficult! He’s such a lovely dog!